5 Flooring Trends We Love! 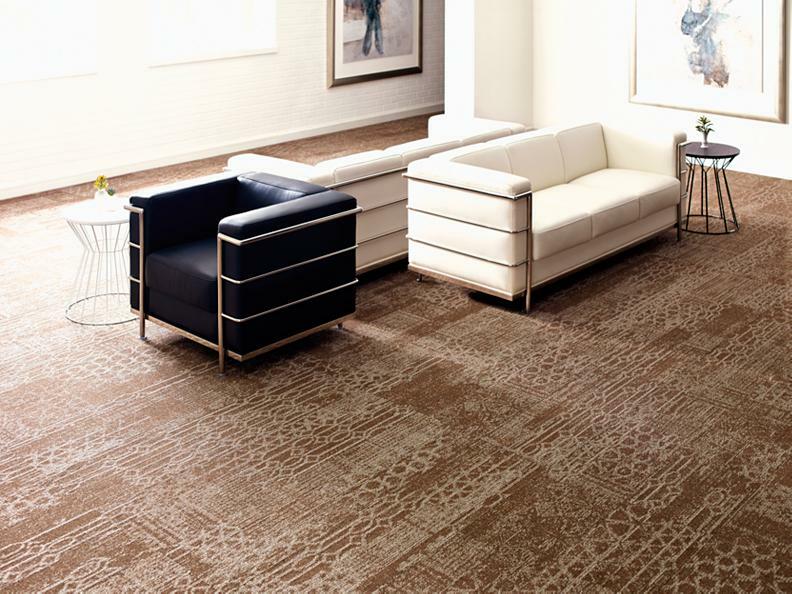 Smart Squares is the new residential carpet tile from Engineered Floors. We love this product because it is a peel n’ stick carpet tile! 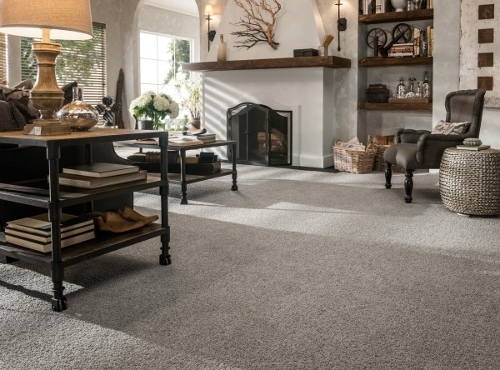 Engineered Floors took the company’s most popular broadloom carpets and made them into easy to install carpet tiles! These carpet tiles are comfortable underfoot because they have a Kanga Hide cushion backing attached to each carpet square. 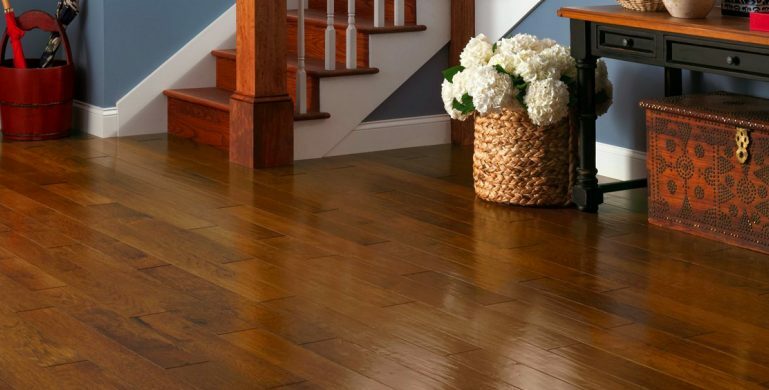 Carpet Express is America’s source for Water-Proof wood look floors. These products are DIY-friendly and are tough enough for any room in your home. Shop the latest styles and colors, and create a beautiful interior that will also withstand water, stains, and wear and tear like a champ! 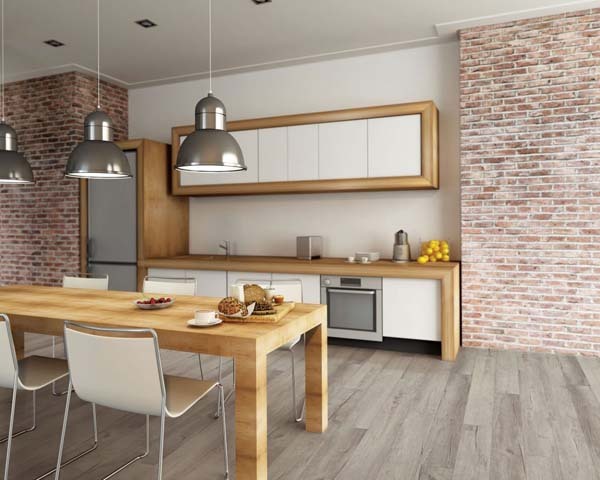 Our Pecan Sheel SPC offers a stunning reclaimed look with realistic plank to plank color variation. Did you know Carpet Express is one America’s Top distributors of promotional Vinyl? We hear a lot about water-proof wood look flooring. From COREtec to our Waterproof Plank Collections, no one can deny the strides Luxury Vinyl Flooring has made in the past decade. BUT. Don’t. Forget. About. Sheet Vinyl Flooring. 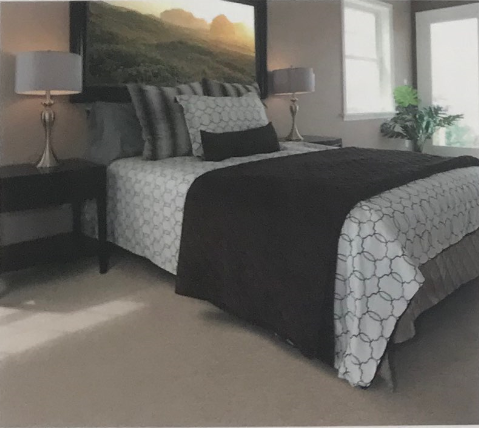 Sheet Vinyl is the OG water proof flooring, and manufacturers have improved this classic flooring product with stylish Hi-def visuals and textures. Sheet Vinyl is a tried and true product, and is still one of the most affordable way to level-up your home. Shaw Floorte flooring uses high-def patterns to recreate an authentic hardwood or tile look. Its locking system is precision-engineered for an easy and durable installation. 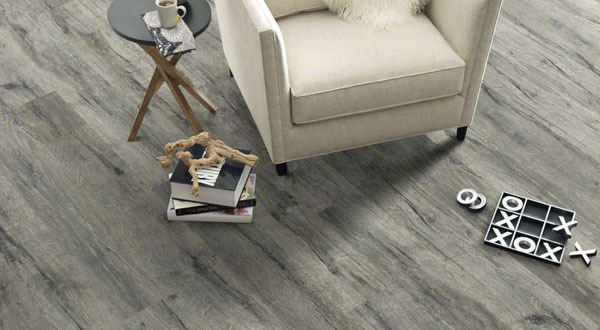 Floorte luxury vinyl tile and planks combine the best features of vinyl and laminate. 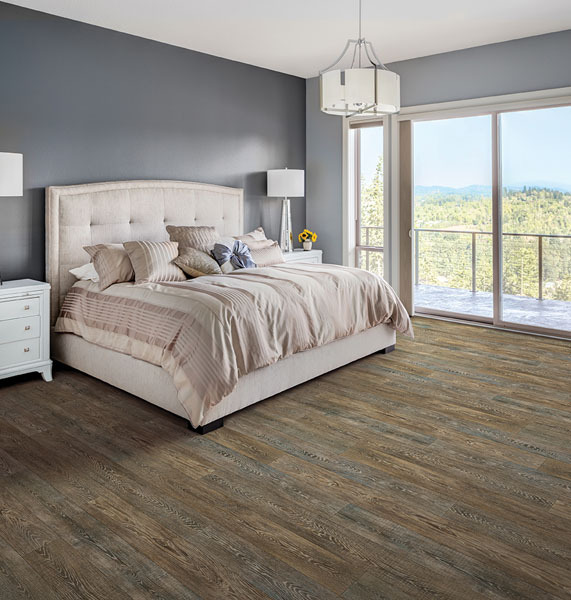 Its solid core creates dimensional stability and helps hide imperfections in the sub-floors like a laminate, but its vinyl based construction makes it completely waterproof! As one of the best known brand names in the world, STAINMASTER has a lot to live up to, and these products do not disappoint. There is a reason this fiber is the standard in premium residential carpet. This high performance nylon has also become one of the softest and most color-rich fibers on the market. STAINMASTER has also created the following brands to tailor to each home’s unique needs. Stainmaster Active Family is durable enough to withstand your family’s active lifestyle. The carpets with this fiber resist food and beverage stains. 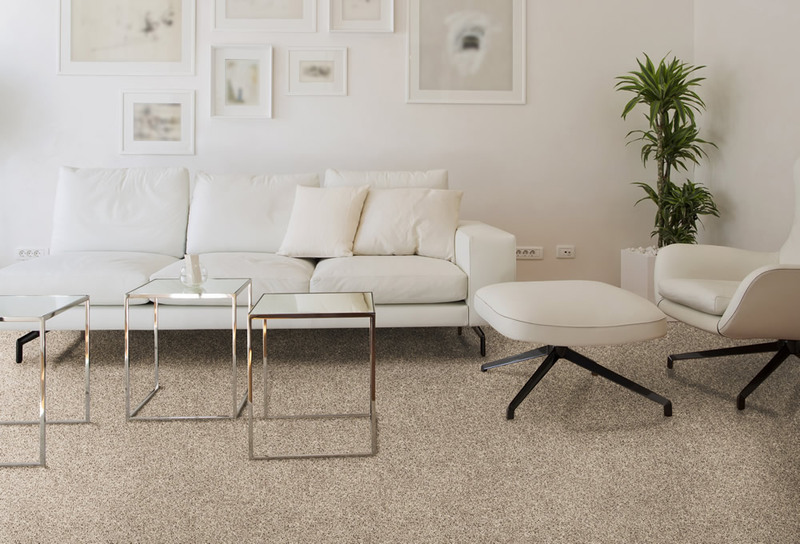 Stainmaster TruSoft carpet is made with specially engineered fibers that give the carpet a luxuriously soft feel without sacrificing durability. Stainmaster Pet Protect resists pet stains, reduces pet odors, and releases pet hair from the carpet! Shaw Industries’ LifeGuard Backing has been announced as a finalist for the 2019 Edison Awards in consumer goods – home solutions category. The Edison Awards was established in 1987 to honor innovation, recognize achievement, and celebrate innovative success from organizations across the globe. Engineered Floors just released the company’s new residential carpet tile brand called Smart Squares. Engineered Floors took the company’s most popular broadloom products and transformed them into 18 inches by 18 inches carpet tiles. The company uses a unique Peel n’ Stick installation system, which means the product can be installed on most sub-floors. Every Smart Squares carpet tile uses Engineered Floors’ PureColor fiber system. 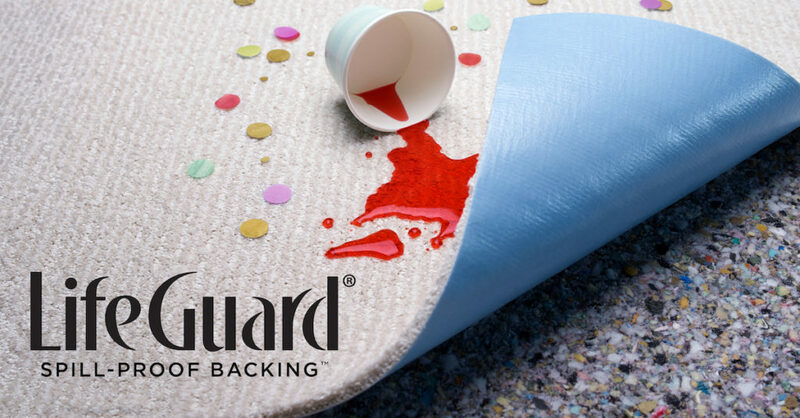 PureColor carpet fiber is solution-dyed so the color will not fade, wear off, or stain. In addition, you do not need any additional pad under the tiles because each tile has an attached cushion backing. The attached polyurethane premium cushion will not crush or flatten out over time. The attached backing is called Kanga Hide. The residential carpet tiles from Smart Squares are perfect for DIY installation because the pre-applied pressure sensitive adhesive makes for a no mess, no fuss flooring. Also, if you ever need to replace a tile, just prep the floor, peel, place, and press the tile into place. In A Snap, Walk In the Park, Easy Street, and Piece of Cake are the residential carpets tile that we carry from the Smart Squares brand. Be sure to check them out! 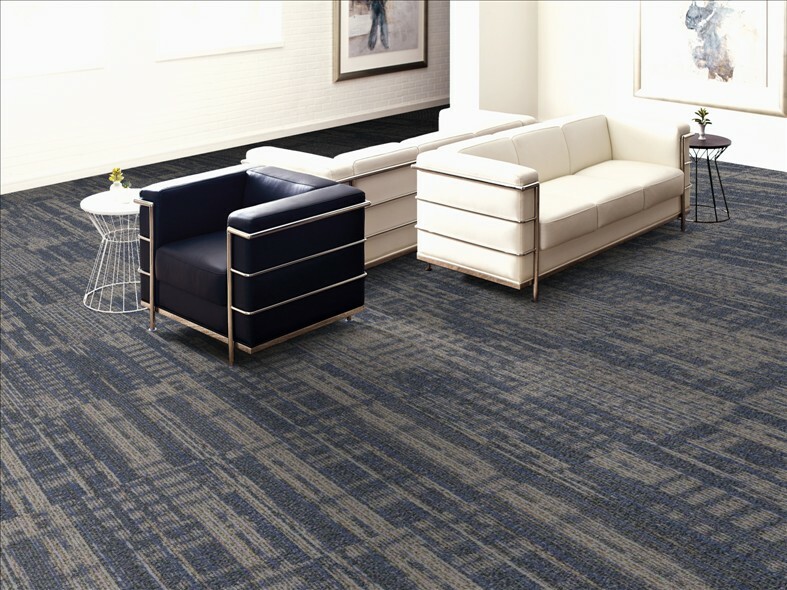 Shaw Philadelphia Commercial just released three new carpet tiles, also known as carpet squares. The three new styles are called Medley, Rhythm, and Harmony. 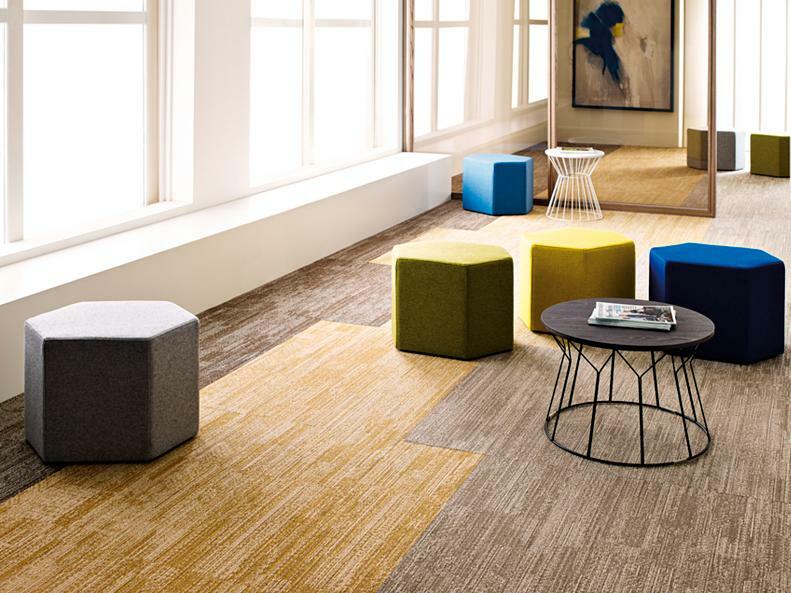 All of the new carpet squares feature Eco Solution Q Nylon fiber. 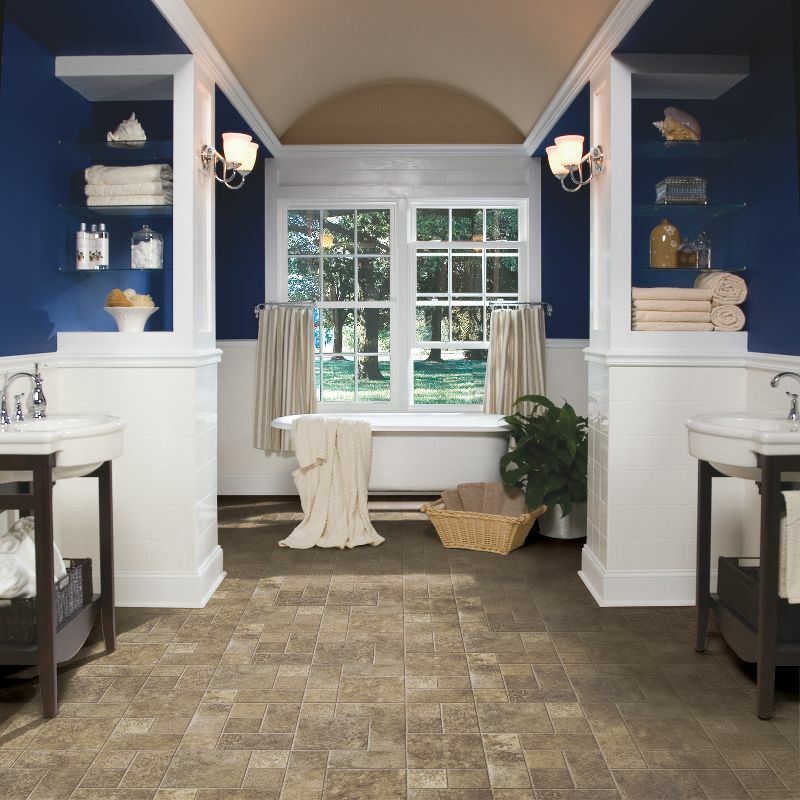 In addition, Medley, Rhythm, and Harmony have Shaw’s EcoWorx Tile backing. Shown below are some room scenes of these carpet tiles. Be sure to check out our other carpet tiles/carpet squares from Shaw Carpet. Phenix Carpet has been producing high quality residential carpets since 2006. Phenix makes premium P.E.T., solution dyed, and nylon carpets that are available in a variety of colors and styles. The carpets are made in the United States, and they are stylish, comfortable, sustainable, and affordable. At Domotex and BAU, USFloors will be presenting 8 new designs from its Naturals Collection in a herringbone pattern. The herringbone patterns will have click installation, and they will be available in natural hues with painted bevel. In addition, USFloors said that they will be expanding the Pro Plus collection with 20 new designs in a larger format. The 20 new designs will be great for both commercial and residential projects. Be sure to check out the COREtec products from USFloors. Recently Shaw Industries invested $250 million in the company’s Andalusia, Alabama manufacturing facility. This facility creates fiber that is used to manufacture residential carpet. The project will include construction of new and expanded building assets and installation of new manufacturing equipment. These changes will create better efficiency, production, and safety for the employees. 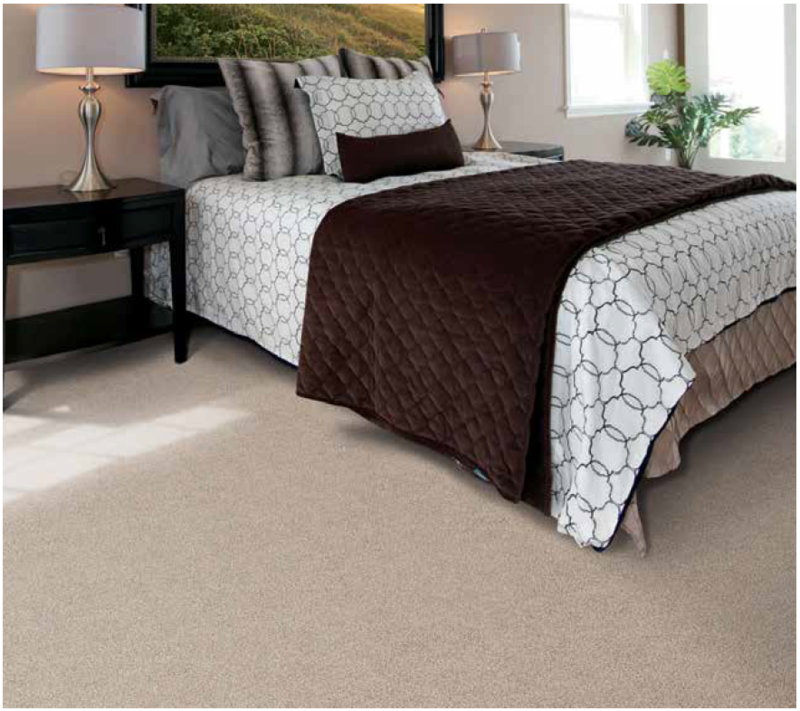 Be sure to check out all of Shaw’s beautiful residential carpets! Shaw Floors participated in the 2018 St. Jude Memphis Marathon. This marathon benefits the St. Jude Children’s Research Hospital. Shaw Floors raised more than $88,000 for the event. 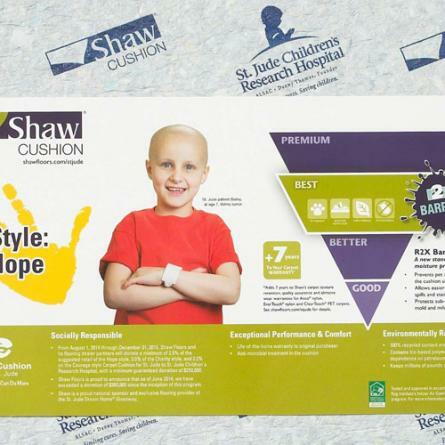 In addition, Shaw Floors offers different carpet pads that part of the sales go to the St. Jude Children’s Research Hospital. For example, Shaw’s Hope Pad is one of the carpet pads available that part of the sales go to the hospital. Also, the Shaw Hope Pad extends the warranty on Shaw carpets. The carpet padding is anti-microbial and it has a moisture barrier. 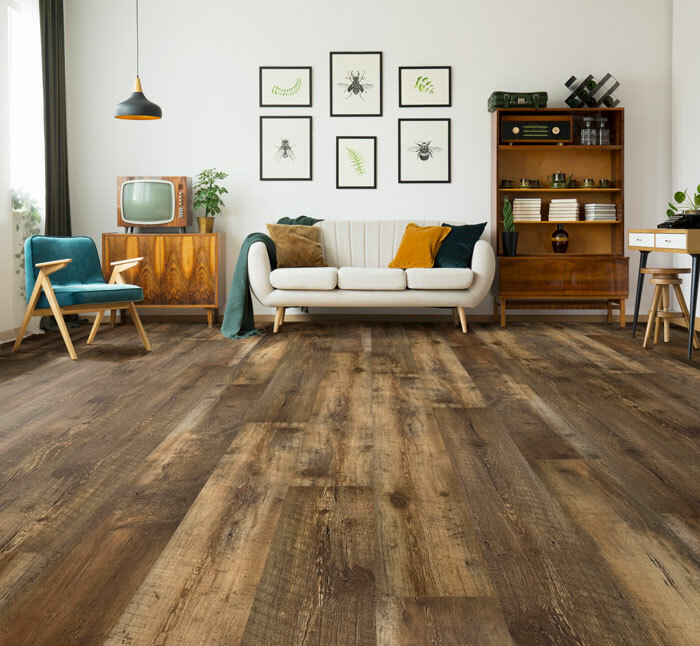 Recently Armstrong Flooring announced that they will be selling the wood flooring segment of the company to an affiliate of American Industrial Partners (AIP). Upon the closing of the sale, Armstrong Flooring will focus more on luxury vinyl tile, rigid core, vinyl composition tile, and sheet vinyl. The company expects the transaction to close at the end of the fourth quarter of 2018. Over the last few years, Shaw Industries has invested $1.5 billion in new facilities to expand its manufacturing of soft surface and hard surface products. In 2016, Shaw opened the Plant RP in Ringgold, Georgia to manufacture resilient products such as their new Uptown Now WPC LVT. In addition, Shaw’s engineered hardwood facility in South Pittsburg, Tennessee has increased capacity by more than 60% in the last few years. Shaw has also invested in the company’s carpet manufacturing. Shaw Industries looks forward to 2019 with new products and new styles.